Trek to upper Mustang is typical experience of Himalayan kingdom of Nepal with typical Tibetan landscape and peoples of Tibetan cultures. You can join our group trek or choose your own private group trek. Upper Mustang is remote and isolated region of the Nepalese Himalayas. Area is still highly restricted for non tourist. Restricted area permit from Nepal government is applied for this area. Upper mustang is perfect destination to explore beautiful landscape, Himalayas, typical cultures and century’s oldest monasteries. Trekking in upper mustang is similar to trekking in Tibet. Geographically upper mustang is part of Tibetan plateau and living style of peoples of the area is influence from Tibetan cultures. Some part of Mustang is cultures of Thakali peoples whose cultures combine Tibetan and Nepalese. They mostly are well established in tourist services owing their house as tourist standard tea houses. Our 16 days Upper Mustang Trekking includes one day sightseeing in Kathmandu valley by expertise of Nepal Highland Treks. Third day is starting your trek by reaching at natural city Pokhara. After 15 minutes of flight, you will reach at Jomsom on forth day. Gradually up walking trail start after that. Trekking trail is not particularly difficult. It is slowly reaching at high altitude. The maximum altitude in this trek is 3800 miter which is Lo-Manthang, the capital of Upper Mustang. When mustang was a separate kingdom within Nepalese boundary a king was ruling from Lomanthang. Local king palace lies still in here. Hundred of Chortens, oldest caves and Buddhist monasteries are important visit sites. You will have one full day to sightseeing around Lo-Manthang. More suitable for trekking in upper mustang is in monsoon season (month of June, July and August). Because, the land is rain shadow areas. Spring (month of March, April and May) and autumn (month of September, October and November) is still good seasons to trek. 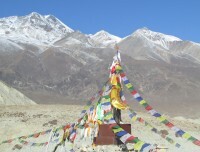 Mustang is cold and upper trekking trails are full of ice in winter. Area is windy after late morning throughout the year. Local tea houses have build as tourist standard accommodation. Same tea houses provide hygienic foods too. Your guide from Nepal Highland Trek chooses best available accommodations on the way. Trek back is normally on same way. We also can trek back another way of Upper mustang but those areas do not have local tea houses, thus camping trek is require. The expert team of Nepal highland Trek can provide you other information and more details if you need. Upper Mustang Trekking need at least 2 peoples to obtain trekking permit. If you are single, we can make you join in any of our suitable group. Please feel free to write put us an email. Upper Mustang is also possible to explore with motorbike, Moountain Bike and with 4wheel Jeep. Upper Mustang during Tiji festival is another best experience. Tiji Festival Tour to Upper Mustang is in different dates every year. Day 05:Trek kagbeni to Chele (3050m) 6 hours. Overnight at tea house. Day 06:Trek Chele to Shyangboche (3800m) 7 hours. Overnight at tea house. Day 08:Trek Tsarang to Lo Manthang (3800m) 5 Hours. Overnight at tea house. Day 09:Exploration Lo Manthang. Overnight at tea house. Day 11:Trek to Ghiling (3570m) 6 hours. Overnight at tea house. 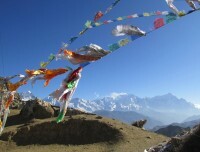 Upper Mustang Trekking need minimum two pax to ubtain restricted area permit. If you are only single, we can make you join in our suitable group. The best season for Upper Mustang Trekking is in raining season of Nepal (June, July and Aug), March to May and September to November is also good weather and season to visit Upper Mustang. Upper Mustang during Tiji festival itinerary is longer than the regular itinerary. Staying in Lomanthang for 3 days to explore festival and probably accommodation in local monasteries. Itinerary can be also customized as per interest. If you want to visit other real villages of Upper Mustang Lori village and Yara village exploration is suggested. which need more 2 days. 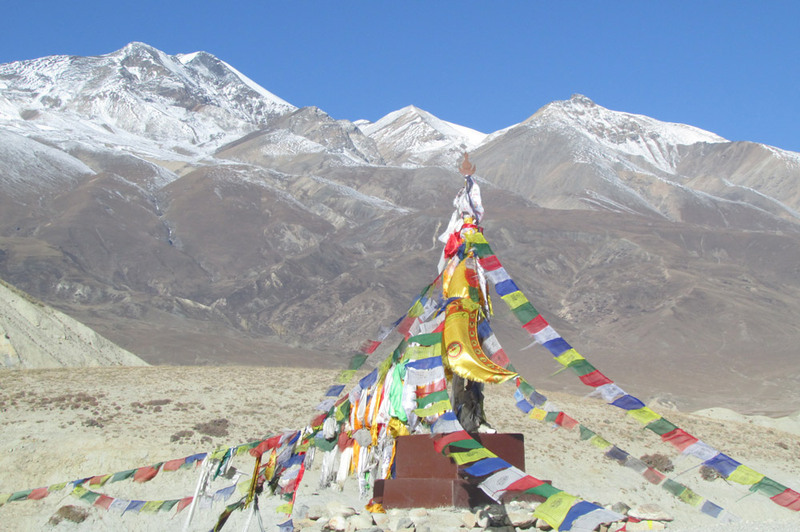 Our Itinerary for Upper Mustang Trekking is general one. You can change it as per your interest; itinerary can be also changed on the way. Guide from Nepal Highland Treks is always flexible and suggest you better option once he knows your interest and walking style. If you are joining with group, itinerary can be change as per main group interest. For your kind information, Upper Mustang restricted area permit cost is Us dollar 500 per person. If you stay more than 10 days, US dollar 50 per day per person is extra. Restricted are begins after Kagbeni and end at Kagbeni. Minimum group size most be 2 pax to obtain permit. Cost is based on tourist bus to and from Pokhara. If you choose private transportation or flight to and from Pokhara, cost will change. Your visa cost of Nepal is also not including in the cost. It is USD 40 for one month multi entry visa which you can get on arrival. 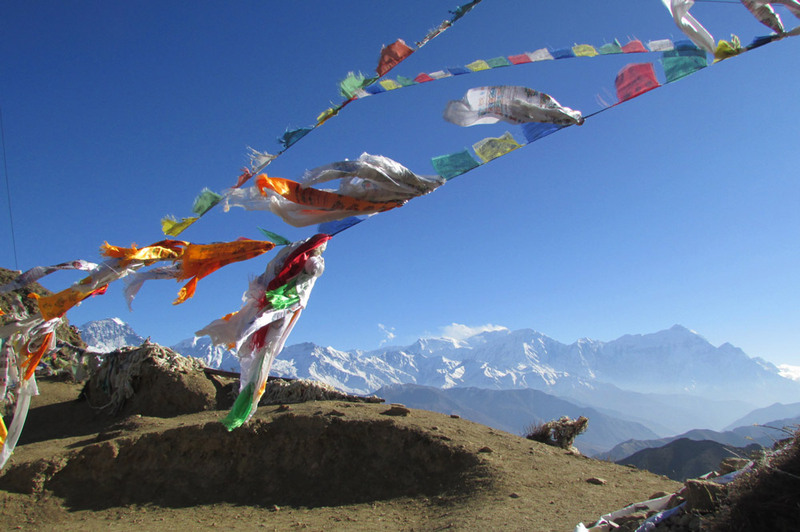 Nepal Highland Treks can make you join in our small group trekking to Upper Mustang. We will have fixed departure dates from March to October. Every dates of departure can have different itineraries and services. Please make sure about it before booking your trek. Day 1Arrival at Kathmandu and transfer to Hotel. 1300mRepresentative of Nepal Highland Trek will pick up you from international airport and transfer to hotel. If time permits, talk and little preparation of the trek. We can assist you to buy trekking equipment around Thamel. Day 3Drive 6-7 hours or fly 25 minutes to Pokhara (720m). Overnight at Hotel You have option either drive to Pokhara with tourist bus/ private vehicle or take fight. We normally suggest drive with private vehicle which give opportunities to start your suitable time and stop interesting places on the way. Transfer to hotel. 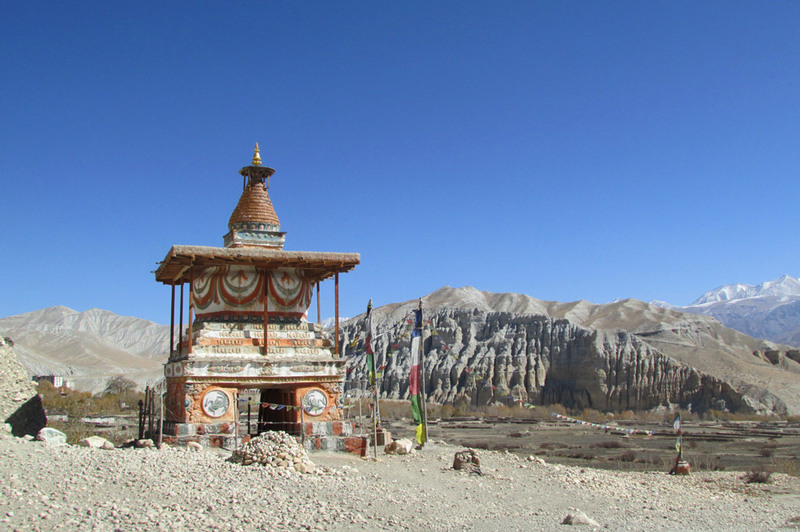 Our fixed departure date for Upper Mustang Trekking can be worthful if you are single traveller. We at least need two trekkers to ubtain restricted permit for Upper Mustang Trekking from Nepal government. You can choose your own date if you are at least 2 pax or more. Let us know if you want your own new date. We may not be updated with our other fixed departure dates, so please send us email for details and other fixed departure dates in you want to join. Kathmandu and Pokhara have lots of restaurants to choose for your Lunch and Dinner. Breakfast is including in the package that is provided by same hotel you are staying. During your trekking, same tea houses you are going to stay provide you breakfast and Dinner. Lunch is on the way at suitable place. All the foods during trekking is including in the packages. Hotel and restaurants provide you international standard foods in entire Upper Mustang. Your guide and porters to Upper Mustang Trekking are from Kathmandu. He is the one who will be our regular guide more responsible, friendly, and helpful English speaking. You will meet him in Kathmandu before starting your trek. There will be 1 porter for every two trekkers. He is able to carry total 25 kilogram. Both guide and porters are fully equipped, insured and package including their foods, accommodation on the way. Trekking guides are those who can communicate with you and local peoples and having enough knowledge of local places, peoples, their cultures and having knowledge of high altitude sickness. Drinking water is extra cost from package. During the trek it is available bottled mineral water, boiled water fill in your own bottle from every tea houses or can use even normal water from Tap. Bottled mineral water is available in every guest houses, shops in entire Upper Mustang. As you hike high altitude, cost of bottled mineral water and boil filtered water increase. Water from local taps can be also used as drinking water by purification with purification tablet and filter it yourself. Most of the trekkers are drinking bottled mineral water and boiled filtered water. Trekkers are using local tap water rarely. You do not need to bring whole equipments from your home country. Good trekking equipments with reasonable cost are available in Kathmandu. We can suggest you to buy those after we check it in hotel before starting of trekking. Representative from Nepal Highland Treks or your guide can provide you good suggestion. Our itinerary has enough time to be prepared with your proper equipment. In every trekking package, our guide will carry first aid kit box containing medicines of anti altitude, anti Diarrhea, pain relief, Antibiotic, anti cold, anti vomiting, anti headache, fever, bandages, handplast and anti septic lotion . If you are taking any regular medicine that is compulsory to bring yourself. 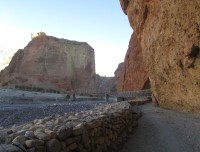 Upper Mustang route is sensitive land which is one of the restricted areas. It is unspoiled and exotic land which is sensitive. Treat the land and local peoples with care and respect. Try your best to keep environment clean and show appreciation for culture and traditional religious beliefs. Make Upper Mustang region litter free: Do not through any litter; put it in dustbin fixed by national park or in local tea houses. Sanitary napkins and tampons should be wrapped properly and through it right place. Take batteries back to your home country for safe disposal or reuse. Respect local cultures, custom and peoples: Route of Upper Mustang is combination of different cultural ethnic group of local peoples. Their culture, customs, living style and any function is typical and it is important for them. So respect all these while you are there. You can involve respectfully in those function. Take your guide with you in every hiking and climbing: our guide will be always with your while trekking every days. You are trekking and hiking in remote areas with maximum altitude. Few days in the itinerary are as acclimatization day and hiking around for recovering stamina. Take your guide with you in all these activities. It is Himalaya and do not be more exited, take advice from guide to take any decision. Do not through foods after order: Foods are all carried from Pokhara or from Kathmandu. It takes a week time to reach all the foods in the area of Lo manthang. It is important that you order only sufficient food which you can finish. Do not waste any foods in the region. Meet items are not fresh in the high region. The land is out of scarifies any animals, and meets are all carried from out of region. This is the reason meets are not fresh. 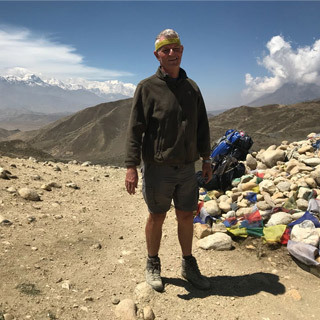 I trekked Upper Mustang during 11 days in June 2018 and it was a wonderful experience.